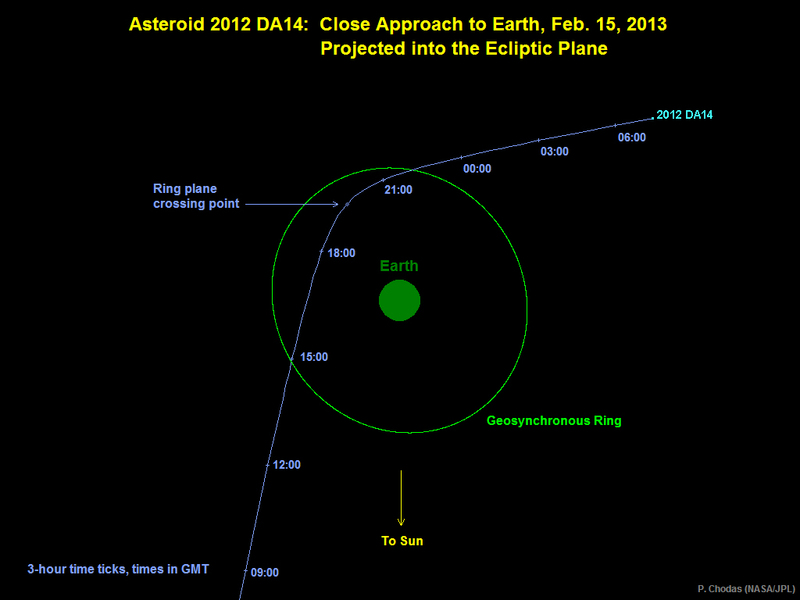 Asteroids seem to have been in the news lately, especially with 2012DA14’s anticipated close call (the NASA illustration above shows it passing inside the orbit of our geosynchronous satellites) and then on the same day the totally undetected asteroid that became a meteor exploding over Chelyabisnk, Russia. At the risk of a slight spoiler (revealed in Chapter 2, so it’s only slight) the event that threatens the extinction of the human race on December 20, 2047 in Newton’s Ark is an asteroid many times the size of either of those seen last week on a collision course with Earth. In addition to being a high-tech thriller, Newton’s Ark attempts to explore in a serious way how humanity would react to the news that a killer asteroid is on the way knowing there is nothing they can do about it.